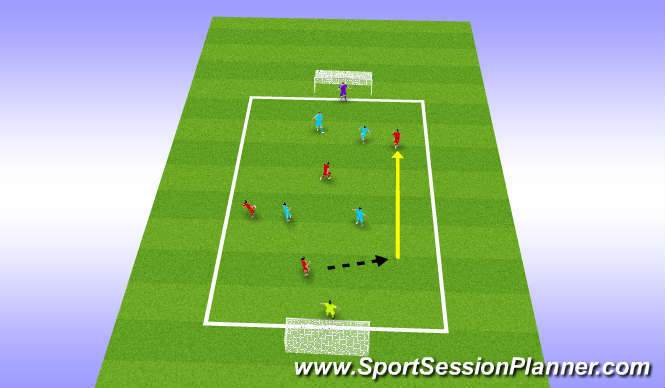 Organisation: Area of 40x20 with 2 target zones of 5x20 yards each. 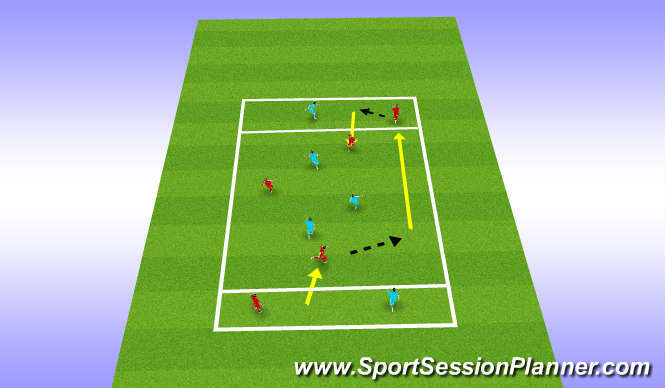 It is a 3v3 in the centre, whith a target for each team either end, Aim is to run the ball into a target area, where your team mate then takes the ball of you, and then aim to get to the opposite target area. Target zones are unopposed. Progress by marking zones on pitch, and players recieve more points the more zones they travel through with ball. Key Factors: RWTB, close control, head up, speed, direction, awareness of space. Key Factors: When and where? 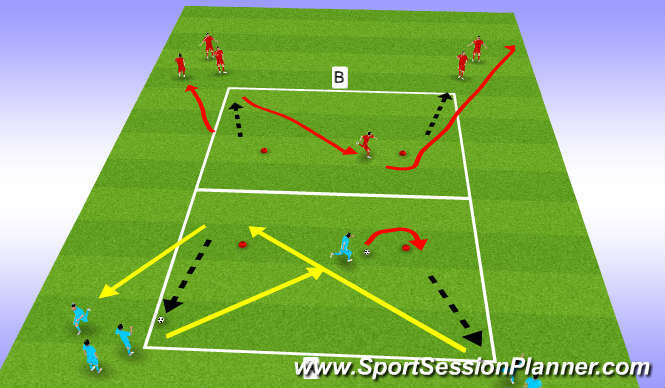 Identify where to run, Awareness, Agility, Close control.